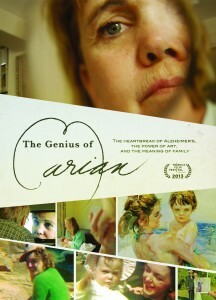 The Genius of Marian is a documentary about Pam White, who was diagnosed with early-onset Alzheimer’s disease in June 2009, at the age of 61. Before her diagnosis, Pam was working on a book in memory of her mother, Marian Williams Steele, who was a renowned, award-winning painter who suffered from the same disease. The film begins a few months after Pam’s initial diagnosis and we learn about her life from narratives by family and friends. Throughout the film, there is a backdrop of subtle understanding that the impact of Alzheimer’s disease extends beyond an individual and the story artfully demonstrates the complex relationships of family and friends who are also forced to cope with the repercussions of this diagnosis. Pam’s son, Banker White, is the filmmaker and poignantly captures the multi-generational effects of illness on their family. In particular, he creatively uses Marian’s paintings, old home movies, and current scenes in their family life to capture the transition of his mother, Pam, from her mother Marian’s caregiver to a recipient of that same care. The slow pace of the film is reflective of the slow progression of the disease and the continuous, delicate changes that have to be made in Pam’s life, as well as her family’s lives, as the disease evolves. The documentary shows how both those receiving care and caregivers are challenged with adapting to new roles, while struggling to maintain normalcy in the midst of a terminal disease. 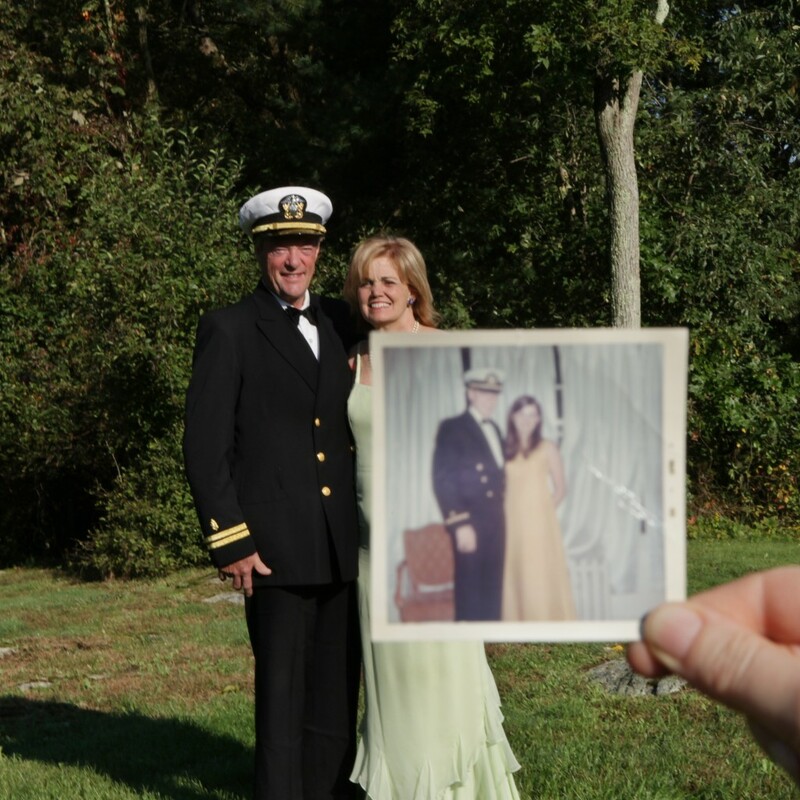 The film focuses on Ed White, Pam’s husband and primary caregiver. Throughout the film, we get to know who he is: a dedicated, loving father and husband who thoroughly understands his wedding day vow of, “in sickness and health” and who persistently demonstrates his unconditional love for her. At the same time, we watch as he sometimes struggles to be patient with her, or to recognize when he needs help, too. One of the consequences of needing a caregiver is losing one’s independence and feeling a justifiable loss of identity. The Genius of Marian creatively shows us this sentiment in several ways. On one occasion, Banker is interviewing Pam as she sits in the passenger seat of his car. She tells him her feelings about always needing someone to help her, “There are situations in your life where you just want to get up and go…and it’s not a good situation [to always need a ride].” Pam also tells us that it’s “quite interesting to have my whole family in my room telling me what to do.” This is shortly after one of her sons tries to encourage her to take her medications, and we see Pam in a state of confusion and a little agitated about having to do so. It’s an intimate and difficult moment for both mother and son as they recognize the role reversal of the child caregiving for the parent. A sense of urgency is depicted in the film by a small island in the beach where Pam and Ed’s children used to play. We see a small island several yards into the water, and we learn that the tide recedes for a little while, giving people a chance to go play in this otherwise unreachable place. But with those moments comes a sense of urgency because there is a truth about it that one already knows: the tide will always come back, and you have to be back on mainland before the water levels rise. This imagery of urgency that we sense for the White family depicts for the viewer what being surrounded by a diagnosis as unyielding as Alzheimer’s disease could possibly mean. For Pam and her family, the urgency comes from experiencing what her mother, Marian, went through and knowing what will eventually happen to Pam. In remembrance, we go back to the inspiration of this film and Pam’s project about her mother: The Genius of Marian. Pam, referring to her mother as the inspiration for this film, wanted to “keep her alive by not forgetting who she was.” The urgency and depth of mortality of life as we know it with progressive diseases like Alzheimer’s is greater than any tide that recedes and returns. This film was used in Emory University’s Doctor of Physical Therapy Geriatrics section, as a way to show students like myself the realities of a disease like Alzheimer’s beyond our textbooks. Watching and discussing the film increased my empathy for patients with this disease and broadened my awareness of how family and friends are affected by a terminal diagnosis. The documentary shows Pam and her fight of wanting versus needing help, but also highlights the challenges caregivers face; and the medical progression and realities that come with Alzheimer’s disease. Understanding and appreciating the humanity of our patients and their families may be achieved better through this kind of medium and exercise, versus memorizing signs and symptoms and taking multiple choice exams. This recognition of humanity will serve us well as healthcare providers, teaching us to relate to patients and their stories as they present to us. In an interview with film director, Banker White, he tells us that the film didn’t start as a documentary, it was more an extension of his mom’s book project that later became a family project. He was inspired with his grandmother’s art, and as an artist himself, he took the time to go through archives, movies, and paintings with his mother. Banker would soon find that his mother’s project would mean more than she intended it to, which led to the depth of The Genius of Marian. 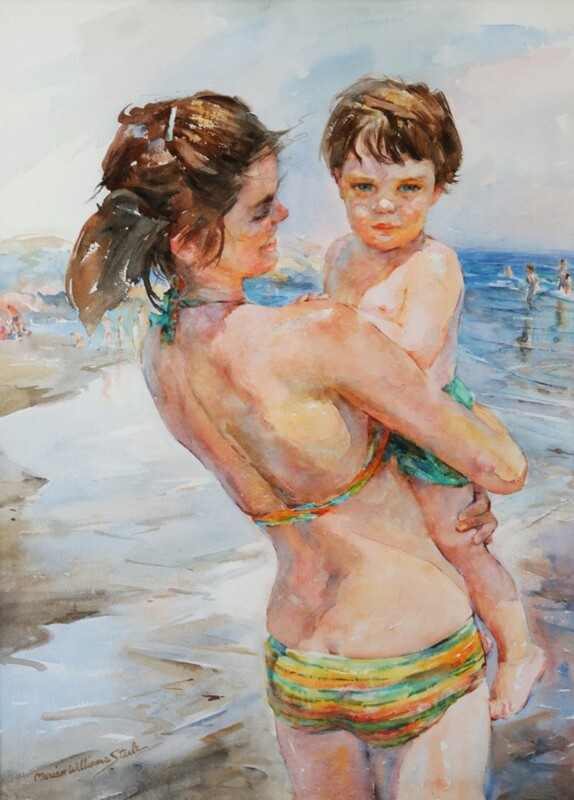 Subject: Watercolor painting entitled “Last Summer” ©1978 featuring Pam White & Banker White by the beach in Gloucester, MA. In the process of learning what depth this film had on several communities, Banker tells us that he also learned about the marriage and closeness of his parents, Pam and Ed. “I didn’t expect all that. It [making the film] was really about really getting to know them”, he says in reference to learning about how his parents believed in creating a close family and how that affected the development of their relationship “and what was important for them. I feel close to both of my parents, but there’s something about the nature of this project…Maybe as kids we didn’t have the space to create more questions” to truly see each other. Banker reflects on appreciating the opportunity this film created for his family to have deeper conversations that led to closer connections and better understanding of what matters in their family. “Making the film opened up a way for my dad and I to connect”, Banker says. “We’re all a close family, but it doesn’t mean that all of us communicate very well, especially around things that are emotionally difficult…the film changed the way we communicate.” He tells us how setting up the camera and making it a formal event created a safe space for family and friends to express themselves and confront the difficulties they were facing. “Unspoken support” can be meaningful, but the clarity of a conversation can sometimes be more helpful to all. This realization led Banker to another project, The Genius of Caring. The making of The Genius of Marian inspired the creation of The Genius of Caring public art project. The Genius of Caring is a web-based community that is designed to promote sharing among those who are acting as caregivers for loved ones with neurodegenerative diseases, such as Alzheimer’s. This sharing creates an opportunity for learning about and engaging with the complexities of caring for those with varying levels of dementia. The Genius of Caring provides important insight into caregiver and patient experiences that should be used to enrich the understanding of healthcare professionals and students entering healthcare related fields. The interactive nature of The Genius of Caring enables those who contribute to find a community of people who understand the challenges and triumphs of intensive care giving roles. Neurodegenerative diseases often result in some level of isolation for the person experiencing the disease and those who are caring for him or her. This narrative project seeks to gracefully address that isolation through compassion, story-telling, and direct acknowledgement of difficult conversations. Banker White, son of Pam and Ed White, is a multi-disciplinary artist based in San Francisco. 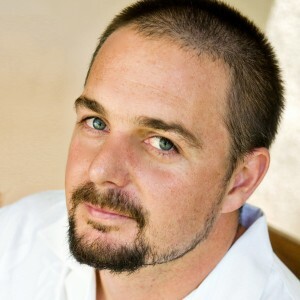 His projects have been supported by the Sundance Documentary Fund, the National Endowment for the Arts, Creative Capital, the Tribeca Film Institute, Impact Partners, the LEF Foundation, the BRITDOC Foundation, the Catapult Film Fund, The Fledgling Fund, Cal Humanities and the Pacific Pioneer Fund. He is the director/producer of the documentary Sierra Leone’s Refugee All Stars (2007), which won more than a dozen international film festival awards and has been seen on television in North America, Latin America, Europe, Japan, Korea, South Africa, and Uganda. Banker also founded WeOwnTV, a collaborative filmmaking and storytelling project based in Freetown, Sierra Leone. He lives in San Francisco with his wife, Anna Fitch, and their daughter, Dylan. 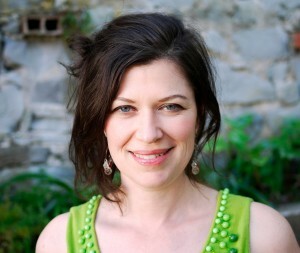 Anna Fitch, Producer and Co-Director of this film, is an Emmy-winning director with a background in natural history filmmaking and a degree in Entomology. 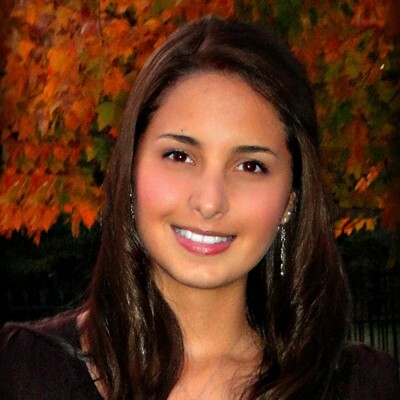 Anna’s documentary work has aired on the National Geographic Channel, TLC, Channel 4 (UK), and PBS. Awards and nominations include: an Emmy Award for Best Documentary Directing for BugWorld: War of Two Worlds; a CINE special jury award for Best Environment and Natural Science Film for Bug Attack; and a VideoFest MCCLA Best Documentary award for ManMade: The Bra. Anna also directed the short narrative film, The Burning Wigs of Sedition (2010), featuring the Extra Action Marching Band. She lives in San Francisco with her husband, Banker White, and their daughter, Dylan. To obtain a copy of the Genius of Marian DVD, see link below. Included are a facilitator’s guide and tips on hosting a community screening. The detailed and beautiful language in this book almost pales in comparison to the diligence in the technique it required to transcribe it. As Bauby continues to undergo speech therapy sessions in the hospital, he begins to flex his freedom of thought with the assistance of his speech therapist. With her ingenuity, Bauby was able to learn a new “language” (alphabet rearranged in order of most frequently used letters to the least) and transcribed this book. Utilizing this alphabet to transcribe was formidable in its very nature – each word took 2 minutes to translate and transcribe, and the entire book took 10 months, with the author blinking 4 hours a day to write the book. The fact that this literary piece was written without lifting a pen, pressing a key or opening a mouth is a notion worth a moment of admirable consideration. This book reaches to the innermost heart strings and gives them a tug: abruptly at times with sarcasm, strummed with dreamy illustrations of night time images, and picks at them with jabbing language as the author describes being “seized” and “dumped” into a wheelchair. Such phrases, written by this young man who survived a catastrophic hemorrhage, give us a glimpse from a literal “eye” into one of the most rare stroke related syndromes (LIS). His story is rich with wit, honesty, grief and hope that will have you smirking through tears and chuckling in the face of devastation. It is enlightening to the reader as he writes of his “helplessness” in scenarios and feeling invisible throughout the book. One such experience was when the ophthalmologist began to sew his eye shut without receiving consent (which, ironically, would have been an eye blink). Bauby describes how daft the man must have been to be looking so closely at him, only to see right through him. He continues to relay his disgust and fear as the physician clearly missed the stare of reluctance in his eye as it was being closed. 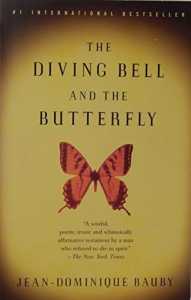 At other times, he was spoken for over and over- and his inner “butterfly” (representing his imagination and thoughts) shuddered in disagreement, while his “diving bell” body refused to move in cooperation. Even in the moments when well- intended individuals tried to help, he was frequently robbed of his own thought process and expression. An example was when he was spelling out “lunettes” (French for ‘glasses’) and before he could complete the phrase, someone assumed he was spelling “lune” (French word for moon) and starting discussing the moon with him. However, the most powerful aspect of the book and the stronger underlying theme was his amazing ability to recognize the power of the mind; the understanding that the ability to self -reflect, to remember, to escape– as he describes traveling to far off lands in his mind- was a destroyer of disability in its own right. In just a brief period of time, it appears he undergoes a transformation of sorts; a redefinition of self. He at one point describes himself as “fading away” after living in the solitude of his hospital room day after day. However, he combats this notion through recognitions of the things that make him feel “human”, allowing him a temporary escape from the diving bell. These preserved notions of his former self, something as “trivial” as wearing cashmere sweaters, as well as reminiscing over previously enjoyed activities, such as driving, and eating, bring him joy. One of the most poignant parts of the book was the underlying theme of pain opening a window to clarity. In the very beginning of the book, after he describes his horrible ordeal with the wheelchair introduction, he declares that the abruptness of the situation (being seized and tossed in to the wheelchair without much, or any, explanation) was actually clarifying and “helpful.” It allowed him to more quickly realize and accept the dependent nature of his physical state, which, possibly led to recognition and embracing of his mental independence for meaning and substance. Overall the book is impressive with its dynamic variety of literary themes, though the chapters are very brief, and somewhat choppy, moving from subject or situation in somewhat of a sudden fashion. Perhaps, from a psycho- emotional perspective, these frequent shifts of reflective thoughts may represent the experience of disability, depicting the fluctuating ebb and flow of both grief and hope. The 2007 biographical film of this story was also captivating and revealing, offering a unique perspective that even the most descriptive paragraph could not. For example, in the opening scene, Bauby is peering through one eye, with wavering vision- images that are clouded, as are the voices that he is trying to interpret. This striking perspective offers a potential glimpse into a reality that many of our patients experience as they arouse from deep sedation after surgery, or, a catastrophic event such as a stroke. The actor portraying Jean Do Bauby (Mathieu Amalric) was exceptional in his ability to make such strong statements without physically uttering a word. This fierce portrayal leads one to realize the striking impression of this dominant, one-sided perspective of the movie. Certainly many movies depict actors playing inner monologues, but rarely does one witness the frustration and futility of an inner monologue left completely unexpressed. That is, until Bauby’s speech therapist Henriette (Marie-Josée Croze) and transcriber, Claude Mendibil (played by Anne Consigny), offered him an escape from his “diving bell” by offering a new language, transforming his inner monologue into shared thoughts, hopes and desires. 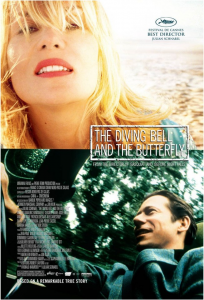 The movie differs somewhat from the book in the depiction of Bauby’s grief and how he copes with his life post stroke. The movie presents, through frustrated verbalizations of the actor’s voice, dimly lit hallways and drowsy, dream- like scenes, and a deeper depression than I had perceived him experiencing from the book. Generally, however, the film complements the book, offering beautiful flashback scenes depicting his relationships, a gorgeous indulgent dinner as he longs for the taste of food, and precious time spent with his children. Bauby’s story is a compelling personal journey and both formats of book and film can serve as powerful educational tools for students. Case studies and textbooks are essential to teach the science/physiology behind injury but lack the ability to provide a meaningful resource for students to begin to comprehend their patient’s experiences. Too often, healthcare professionals focus on identifying what is “wrong” (pain, impairment, functional limitations), then develop a plan to “fix” those things. Less often do we seek what truly brings our patients hope and freedom from whatever physical limitations they may experience. Ironically, this paternalistic view, or “savior complex,” has the potential to build a wall between therapist and patient. Jean Dominique Bauby’s complex story eloquently reveals the many complex layers of emotions and desires associated with a catastrophic injury. More importantly, it highlights the ABILITY of someone who was called a “vegetable” by those close to him and shows the imagination and ingenuity of a brain physically damaged but intellectually stimulated. If we, as healthcare professionals, can allow ourselves to look beyond the notion of “fixing” an individual, and promote self-efficacy within our patients, we might just discover a mutually freeing experience. Film version won numerous international awards in 2008, including 4 Oscar nominations (Best Achievement in Directing, Best Writing/Adapted Screenplay, Best Achievement in Cinematography, Best Achievement in Film Editing), 3 Golden Globe nominations (Best Screenplay, Best Director – won, Best Foreign Language Film – won), British Academy of Film and Television Arts (Best Screenplay), American Film Institute Awards (Movie of the Year), Cesar Awards, France (Best Actor and Best Editing) and Cannes Film Festival 2007 (Best Director).